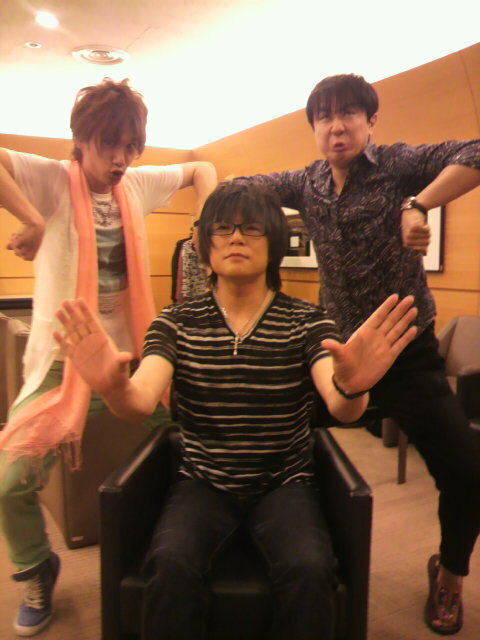 Morikawa Toshiyuki updated his blog this afternoon and he posted a few interesting pictures, including one where KENN (left) and Tomozaku Sugita (right) were making silly poses. "Yuutaku II" 「ゆーたくⅡ」 is a unit comprised of two seiyuus, Ono Yuuki and Eguchi Takuya. 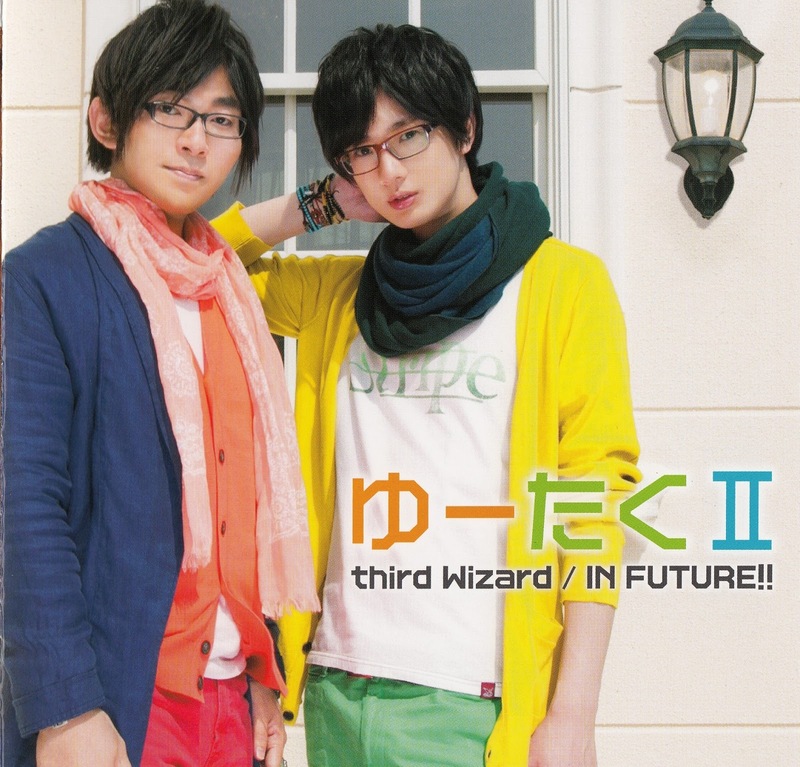 Their two-sided debut single is called 『third Wizard/IN FUTURE!!』. The song "third Wizard" is used as the main theme song of the radio show "What will I do? What will I be!? Yuutaku II" 「どうする?どうなる! ?ゆーたくⅡ」, and their second song "IN FUTURE!!" is used as a ending song of the anime Battle Spirits: Sword Eyes. I found these two songs to be very upbeat and catchy. It's full of fun and energy (especially in their PV, they act pretty childish/silly). You can download a sample of this single here. Description: Kanji lyrics and Romaji lyrics of Yuutaku II's song "IN FUTURE!!". Note: English translation coming soon.